Don’t let the freezing temperatures hold you back today. 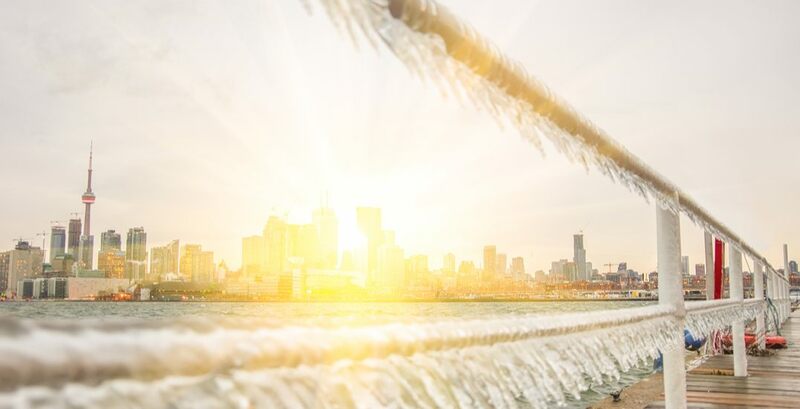 Enjoy your Tuesday by checking out these awesome events happening in Toronto! What: In celebration of Dr. Seuss’ 60th Anniversary of “The Cat in the Hat” and “How the Grinch Stole Christmas”, Toronto’s Liss Gallery is hosting a specially curated exhibition called The Art of Dr. Seuss. What: This is the final week to check out Guillermo del Toro: At Home with Monsters, which is an exhibit that explores his creative mind through personal collections of art, artifacts, books, props, and ephemera, all culled from Bleak House, del Toro’s creative haven located in Los Angeles. What: Spend your winter in widescreen with this series of Hollywood classics screening in glorious 70mm prints, including rare blow-ups. Enjoy screenings of Christopher Nolan’s epic Dunkirk, The Dark Crystal, and The Thing. What: The boys in blue will be back on home ice following their recent loss to the Los Vegas Knights. Cheer on Nazem Kadri and Austin Matthews as they take on the Tampa Bay Lightning. What: Kick off the new year by checking out Winter at Ontario Place, Toronto’s newest winter festival that features various winter-themed activities including the Winter Light Exhibition, skating on the new synthetic skating rink and film screenings at the newly re-opened Cinesphere, which now features a 3D screening of The Polar Express.